NASA on Monday successfully transported an Orion crew module pressure vessel aboard the Super Guppy, a 101,500 pound monster plane (that's without any cargo) that sports a unique hinged nose design capable of opening 200 degrees. From afar, the plane doesn't look all that significant. But get closer, and you see just how massive Super Guppy is. In addition to its impressive weight, the massive aircraft has a cargo compartment that's 111 feet long, 25 feet tall, and 25 feet wide. 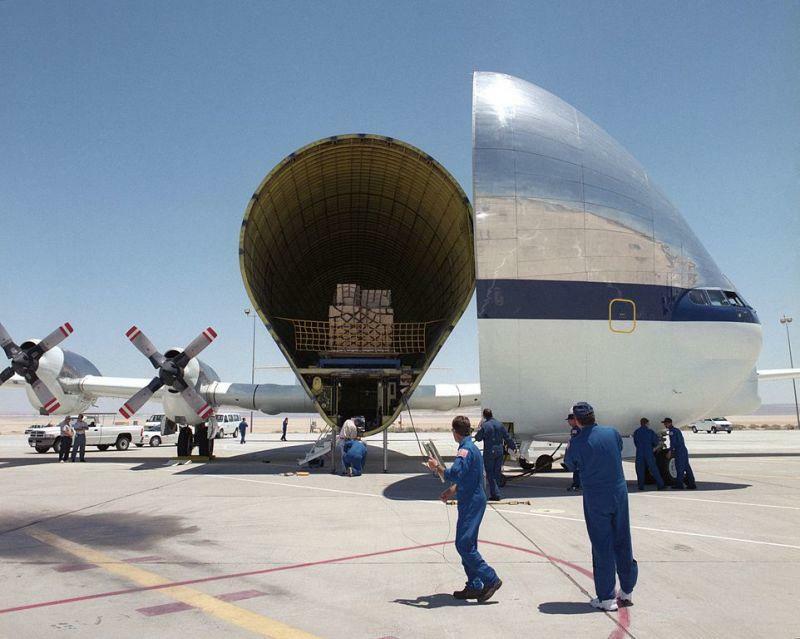 At its heaviest (with cargo), the Super Guppy can weight in excess of 150,000 pounds. NASA and Orion manufacturer Lockheed Martin will outfit the crew module with its systems and subsystems necessary for flight, including its heat-shielding thermal protection system. Once Orion is fully equipped and mission ready, it'll be hitch a ride on NASA's Space Launch System rocket, which will be the largest rocket ever built. A test flight is actually being prepared for 2018, which will see NASA launch Orion thousands of miles beyond the moon as part of a three-week mission. Only five Super Guppy aircrafts were built, and this is the last one still in service.